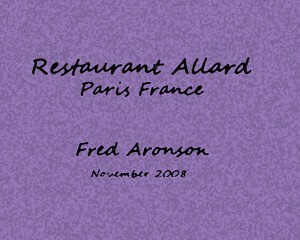 FRED ARONSON paints, cooks, and writes humorous culinary novels. He worked for twenty-eight years directing the international activities program of a scientific computer society based in New York, traveling throughout Europe and Asia with a sketchbook, journal, and guide to local food specialties never far from his side. Bistro A was his first novel. Fred is the author of the Inspector Grimes Rhymes with Crimes parodies of mystery novels. Worse Than Murder — A Food Truck Mystery was the first in that series. Fred is a member of Mystery Writers of America. 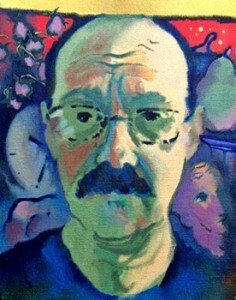 Fred “retired” in 2004 (although he says he now works harder than ever). When he was last in Paris, as a research experiment, he had three-hour lunches for four days in a row at the same restaurant, Allard, a classic neighborhood bistro in the 6th arrondissement. That experience is documented in the photo album below.